I Can. Therefore, I Will. Discover The 'Secret Sauce' That Will Supercharge Everything In Your Life And Change Your Destiny At Will Simply By Applying This Simple 'I Can' Principle And Attract Virtually Anything You Want In Life! "At any one time, the decisions you make will change the rest of your life forever!" That is how powerful your thoughts are – you have the ability to change the rest of your life just by thinking certain thoughts. Unfortunately, most people simply do not know how to harness their mind at all. Like an out of control wild stallion, people do not know how to tame the power of the mind and it winds up flipping them around like a roller coaster and they wind up thinking and attracting all the stuff they don’t want. Instead of manifesting their dreams, their minds become a breeding ground of negativity and nightmares. But there is always a better way than getting stuck in this rut, right? Have you heard of Bill Bartmann? His company was named in “Inc. 500”… again! This is the fifth time this ultra successful mogul has made the list. But most people wouldn’t imagine that this mogul used to be a high school dropout and an alcoholic who had tripped down a flight of stairs when he was drunk. He got paralyzed and the doctors almost wiped out his future by telling him that he would never walk again – cut down at the ripe young age of 17. Can you imagine if you were told that you would not be able to walk again at that age? Can you imagine the trauma a young 17 year old with his whole life ahead of him would feel? The despair would probably eat most teenagers alive. But he wouldn’t have it – he made up his mind from the start that he would DEFY his destiny. He refused to resign to living the rest of his life in and out of a wheelchair and he did what most people would never do. As he sat in his hospital bed, he willed himself into moving his toe. He spent days, weeks just trying… to move ONE toe. And it took him a lot of effort just to do it, and eventually he made it! Since that miracle, he spent every single night in the hospital engaging in a regimen of intense physical activity which was equivalent to an Olympic level workout for his condition. He finally regained the use of his legs by sheer willpower and the belief that he could do it against all odds. You have the same ability within you – to manifest anything you want and it would be such a terrible shame to let it go to waste. I believe that you have all the power within you and I’m going to show you how to harness this power right now! 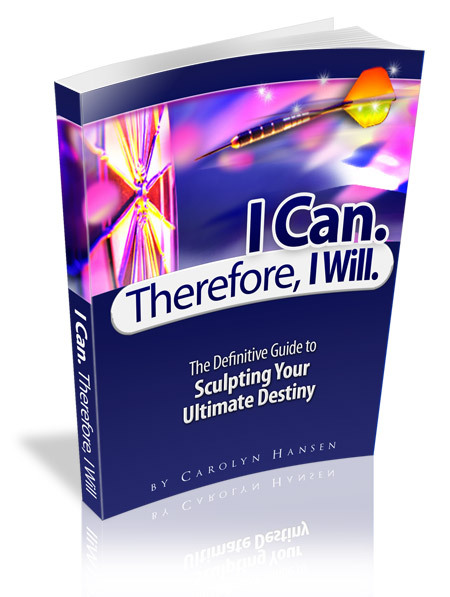 My name is Carolyn Hansen and I am fitness expert, serial entrepreneur as well as a personal development enthusiast. I used to be in your shoes. I had trouble manifesting my dream life not because I wasn’t working hard, but I was doing it all wrong. Creating your ultimate destiny and living the life of your dreams is not a skill reserved for a select few. Everyone has the same energy system available to them – that’s why it is not about working ‘harder’ but accessing this power in a smarter, more efficient way. That is why I’ve created this course just for you. 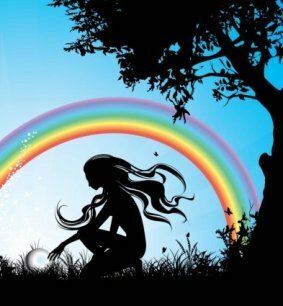 This course will help you discover how to access your energy and become the creator of your own reality. The Complete Course On Creating Your Ultimate Manifesting Your Destiny! 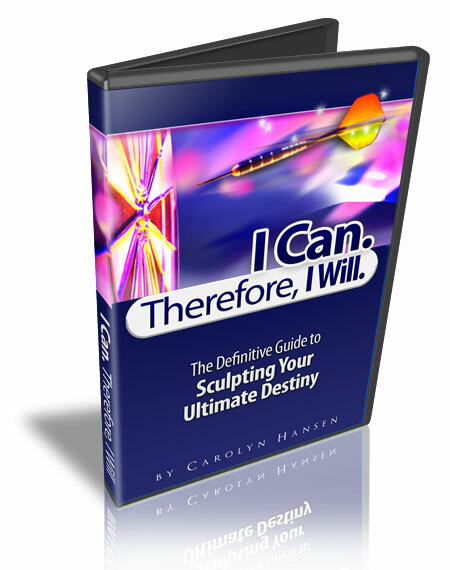 In this never before released course, I will take you by the hand and show you how you can sculpt your ultimate destiny by harnessing the most powerful tool in your arsenal – your mind. As you devour the content here, it will reveal the secrets behind creating your dream life. This is the essential guide book to ‘I Can. Therefore, I Will’. In this course, you will unlock the most important tools behind your mind and discover how powerful it truly is. Learn how to make your mind work for you rather than against you when it comes to manifesting your dreams. Learn how your energy, your health, your personal power and goal setting are all intertwined in it’s power. How To Get Started (Page 10) - Everyone knows that taking the first step is usually the hardest step in any form of personal change. You will learn how to kick start your engine and learn the art of changing with 'ease' rather than with brute force which does not work. Increase Your Awareness For What Is Possible (Pages 14 - 15) - Many people tend to live their lives on 'autopilot' making choices and decisions based on circumstances and impulse. 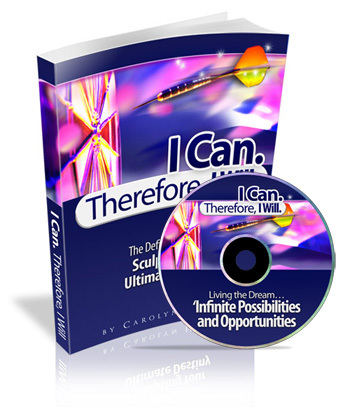 Learn how to take full control of your every thought so you can turn the impossible into 'I-M-Possible'! Harness The Power Of Positive Thinking (Pages 20 - 22) - If you are constantly feeding your mind with negative thoughts, it's a sure fire way to know that you are not getting what you want but what you don't want in life. This will help you to turn the tides in your favor. 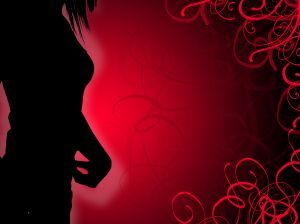 Easily Take Control Of Your Emotions (Page 25) - Do you feel trapped by your emotions? Have no fear because this technique will teach you how to 'switch on' the right emotions and 'switch off' the wrong emotions and take full control of them. Talk Your Way Into Abundance! (Pages 30 - 36) - If you feel that your negative self talk is getting you down, then don't worry because here, you will have the exact tips on how you can examine your speech patterns and talk your way into abundance. The Best Way To Take Action (Pages 41 - 43) - Everyone knows that taking action is important but sometimes it is too hard to get started... read these pages and learn the right way to jump up and take action right away! Train Yourself Physically, Mentally And Emotionally (Pages 44 - 47) - Learn why living a balanced 'fitness' routine for every area of your being is truly essential for you to get what you want in life and blast through all obstacles. Gain Unlimited Energy (Page 61) - Discover why you say or do something and how it impacts with the universe and what you create from it. This goal setting workbook is very important because we will break down the most difficult parts about goal setting into easy baby steps. It will keep you accountable to your word and help you to internalize daily action habits so that your habits will become a permanent part of your life. 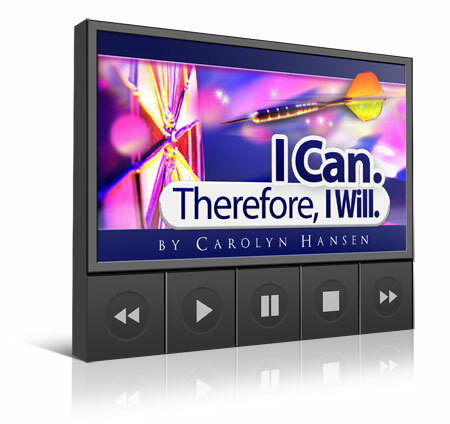 Based on the work of Carolyn Hansen, Dr. Patrick Porter (PhD) has designed a Brainwave Entrainment (BWE) series that will help you to super-charge the core message in 'I Can, Therefore I Will'. These sessions are designed to train the subconscious to work in harmony with your conscious mind as you read through and practice the core message in this course. New thoughts lead to new actions. 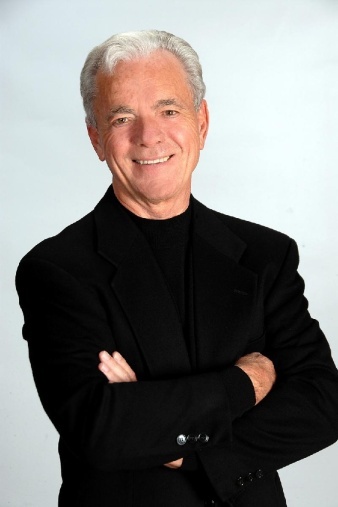 In this program Dr. Porter will help you through the science of Neuro-Linguistic Programming (NLP) to use your most powerful asset, “Your Mind.”. As you learn that thoughts are more powerful than things and thoughts create things you will begin to think beyond the past in new and better ways that will help you create the life you really want. In Dr. Porter’s over 27 years of helping people he has seen the 'flaws' of positive thinking alone and how it actually prevents people from taking action. With this work Carolyn has distilled down the secrets to moving beyond positive thinking into a world of infinite possibilities where your other-than-conscious can take over and put your success on autopilot. We have constant conversations within ourselves. Is yours supportive and positive or demotivating and negative? Self-talk is the lubrication to action. With the right inner talk powerful action can take place. In this program Dr. Porter guides you through Carolyn’s breakthrough exercises that will having you making your positive change in days instead of months. All behaviors are useful in the right context. The problem is if the subconscious is left up to its programming, it will continue to give you what you have already got. Dr. Porter will teach you how to transform negative behaviors into positive patterns of improvement. Imagine your life when procrastination leads to motivation and when fear transforms into personal power. 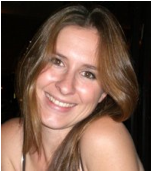 During Carolyn’s years of research she has noticed that there is a strong desire for a challenge. With this program Dr. Porter will show you why it is important to face these challenges and plan for success instead of counting on failure. Today is the day you choose to succeed knowing that how you do the smallest of things you do the big things. 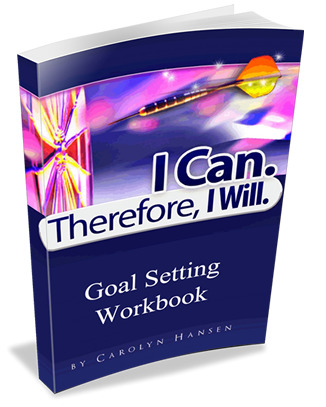 Reading and assimilating the wisdom found in the “I Can. Therefore I Will” is the first step. With this breakthrough session you will employ your access to an infinite mind. Dr. Porter will teach you the time tested techniques used by the world's greatest inventors to awaken their genius in their dreams. As you harness the power of your dreams you will achieve the seemly impossible by accessing your inventive mind through the use of neuro-sensory algorithms to awaken your dreams. I have learnt so much from this book, it was a tremendous eye-opener for me because it showed me how to be honest with myself and how to live life to my fullest potential. I'm really excited and feel like I can take on the world now. LOL. Many of the issues you wrote about totally mirrors my life. And I thought that was amazing! This is probably the first time that I have ever experienced anything that has helped me overcome my procrastination habits in a real and tangible way. "I Can. Therefore, I Will", is dynamite! From first page to last, it went above and beyond what I had expected. To be honest, I thought it was going to be another compilation of positive-thinking hash. This book is completely different! You've got to read it for yourself to see what I mean. I feel she has deposited something very meaningful in me through the pages of this book. Congratulations on your new book! We have copies of your other books too, including "Weight Loss Motivation Bible". I can't begin to tell you how much you have already helped us to improve our life. Last year we lost over 15 pounds between us, thanks to your easy weight loss guides. I can't wait to get started on, "I Can. Therefore I Will". It sounds like explosive stuff! Your book is brilliant. Surely worth its weight in gold! It's so perceptive that everything you say makes absolutely perfect sense. It's focused to help people like me overcome low self-esteem, unproductive habits and irrational fears. Thank you for inspiring me to get on the right track and a new mindset to achieve my goals and enjoy new successes. I love your book! I especially liked Chapter 7. Your book doesn't just give a bunch of ambiguous answers to some vague questions. It really delivers! Thanks so much for this genius piece of work! I separated from my husband of 8 years in November last year. I had felt then as if my whole world had come crumbling down. I cried when I read your book. It's both inspiring and powerful! You've showed me that I have so much to live for and so much to look forward to. You've helped make me stronger. I only wish I had found your book sooner. Are You Ready To Access Your Inner Power And Create Your Dream Life? If you are feeling overwhelmed by this realization of your inner power, don’t worry – I know exactly how you feel when I first realized this power within myself. Therefore, I would love to share with you a modified quote inspired by a powerful spiritual activist and expert – Marianne Williamson. “Our deepest fear is not that we are inadequate. Our deepest fear is that we are powerful beyond measure. We ask ourselves, Who am I to be brilliant, gorgeous, talented, fabulous? All I can say is most people tend to fear success more than failure. They are afraid of the responsibility they have to bear if they actually succeed. If this dream scares you, then you DO feel the prompting from the universe or from your higher self. Then I strongly encourage you to take the next step and go all the way with this. 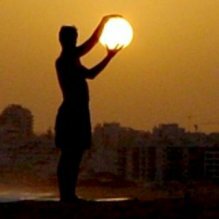 Don’t hold back and let your light shine! Morpheus: I'm trying to free your mind, Neo. But I can only show you the door. You're the one that has to walk through it. So don’t hesitate and walk through the door now by grabbing a copy of this course! P.P.S. You are protected by my 100% money back guarantee so don’t worry about the risk. It’s all taken care of. © Copyright 2017 Carolyn Hansen. All Rights Reserved Worldwide.